Akash Deep, or Aakasha Deepas, is a unique Hindu ritual observed during the Kartik month, or Kartik Mahina, in North India, especially in Kashi (Varanasi) and along the banks of Ganga River. In 2019, Akash Deep is from October 13 to November 12. 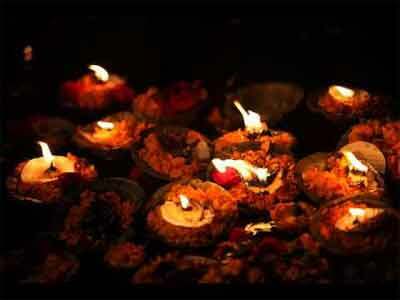 Akasha Deep is the lighting of oil lamps during the twilight period and night in Kartik month. It is believed that the lights from the traditional oil lamps lit in Kartik Maas (month) will lighten the path for the souls of dead ancestors to reach heaven. Thousands of Hindus participate in this month-long ritual dedicated to dead relatives and ancestors. Symbolically, Akash Deep is the light that leads to divinity. Legend has it that people first lit Akash Deep in honor of dead soldiers of the 18-day Kurukshetra war in the Mahabharata. Akash Deep ends on Kartik Purnima (November 23, 2018), which is also the Dev Diwali day, with elaborate rituals and ceremonies. Today, many people pay rich tributes to Indian soldiers who died defending the Nation during the month-long Akash Deep ritual.